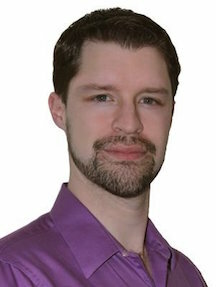 Kevin Nielsen is the bestselling author of the Sharani Series (Sands, Storms, Skies, and short story "Twins") and the Successive Harmony series (Resurgent Shadows). He is the author of Colonial Prime: Humanity and contributed to Fantastic Worlds. His books have been Whitney Award nominees and Utah Book Award finalists. Nielsen is a member of The Church of Jesus Christ of Latter-day Saints and served a mission to Sao Paulo, Brasil. He and his wife are the parents of three children. This page was last edited on 27 February 2018, at 16:01.